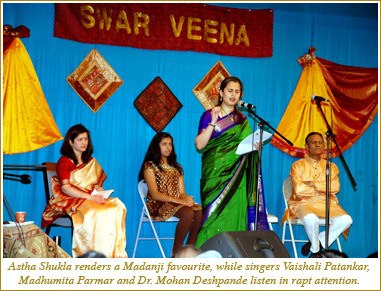 The Swar Veena School of Music organized a memorable concert of Madanji's timeless melodies in New Jersey (USA) on 13th March 2010. Despite the freezing weather and rains, music lovers from New Jersey, as well as from neighbouring cities and states like New York, Massachusetts, Pennsylvania, braved the weather to reaffirm their fondness for Madanji's music. With several talented musicians accompanying them, talented singers, Smt. Astha Shukla, Dr. Mohan Deshpande, Smt. Vaishali Patankar, and Ms. Madhumita Parmar regaled the house full audience with immortal hits like Aapki Nazron Ne Samjha, Yun Hasraton Ke Daag, Meri Yaad Mein, Kaun Aaya Mere Manke Dware, Bhooli Hui Yaadon, Naina Barse, Lagja Gale, Aap Kyon Roye, Nainon Mein Badra Chaye, Mera Saaya, Jhumka Gira Re, Baiyan Na Dharo, Mai Ri and Ruke Ruke Se Qadam. Ms. Madhumita Parmar also performed the song Woh Bhooli Dastaan on the saxophone. The singers were accompanied by a group of talented musicians – Dr. Amod Dandawate (Tabla), Sri Bhupendra Gadhavi (Side Rhythms), Sri Ajit Pachegaokar (Guitar) and Sri Rohan Prabhudesai (Keyboard). A special audio visual on Madanji was also presented, which was widely appreciated by the audience. The event was compered by Smt. Swati Ambole, and Smt. Astha Shukla & Smt. 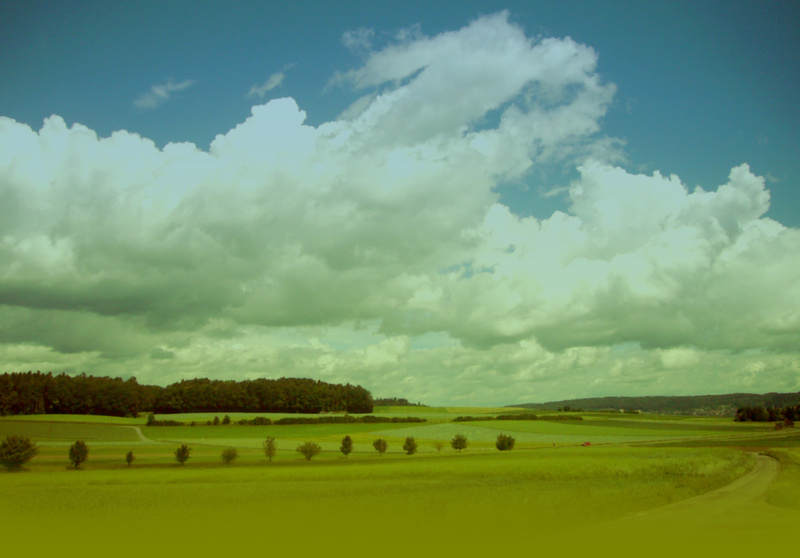 Veena Rao played a key role in organizing it. A special souvenir was also released on the occasion with an in depth article on Madanji's music by Dr. Smt Veena Pani Shukla. Indeed this event, painstakingly organized by the Swar Veena School of Music, amplifies that lovers of old film music still abound all over the world, and Madanji's songs still reverberate in their hearts.